TNPSC Recruitment 2019: TNPSC - Tamil Nadu Public Service Commission / www.tnpsc.gov.in is conducting recruitment processes to fill 63 vacancies. As of now, there are three recruitment drives going on for Apply Online for 49 Drugs Inspector & Jr Analyst Posts, Apply Online for Laboratory Assistant Post and others. TNPSC Recruitment 2019 - Apply Online for 139 Dy Collector, Dy Supdt of Police & Other Posts - CCS-I Examination (Group-I Services) in School Education Department, Tamil Nadu on Direct Recruitment. Online Applications are invited by TNPSC - Tamil Nadu Public Service Commission from 03 Jan 2019 to 31 Jan 2019 and Pre. Examination to be held on 03 Mar 2019 from 10.00 A.M to 01.00 P.M for 139 vacancies. TNPSC Recruitment 2019 - Apply Online for Assistant Superintendent Posts in Tamil Nadu on Direct Recruitment. Online Applications are invited by TNPSC - Tamil Nadu Public Service Commission from 15 Feb 2019 to 15 Mar 2019 for 4 vacancies. TNPSC Recruitment 2019 - Apply Online for 15 Assistant Geologist & Assistant Geochemist Posts in Department of Geology and Mining & Public Works, Tamil Nadu on Direct Recruitment. Online Applications are invited by TNPSC - Tamil Nadu Public Service Commission from 12 Feb 2019 to 11 Mar 2019 11:59 PM for 15 vacancies. TNPSC Recruitment 2019 - Apply Online for Chemist & Jr. Chemist Posts in Tamil Nadu Industries Subordinate Service, Tamil Nadu on Direct Recruitment. 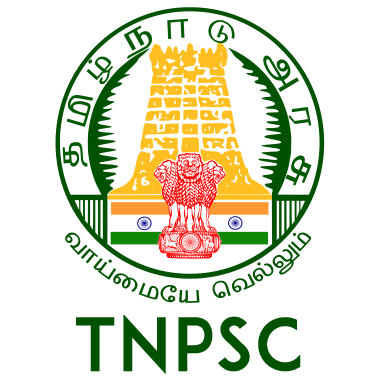 Online Applications are invited by TNPSC - Tamil Nadu Public Service Commission from 07 Feb 2019 to 06 Mar 2019 for 2 vacancies. TNPSC Recruitment 2019 - Apply Online for Accounts Officer Posts in TNPSC, Tamil Nadu. Online Applications are invited by TNPSC - Tamil Nadu Public Service Commission from 28 Jan 2019 to 27 Feb 2019 for 4 vacancies. TNPSC Recruitment 2019 - Apply Online for Curator Posts in TNPSC, Tamil Nadu. Online Applications are invited by TNPSC - Tamil Nadu Public Service Commission from 24 Jan 2019 to 24 Feb 2019 for 4 vacancies.